Religious identities and practices are changing. Religious studies and theological educators are adapting curricula and services to support increasingly diverse student populations. On an institutional level, some religious studies departments and seminaries' priorities are changing, too. For example, Princeton Theological Seminary (PTS) remains one of ten seminaries of the Presbyterian Church (USA), but currently, only 28% of students identify as PCUSA personally and over fifty Christian traditions are represented, reflecting a trend toward ecumenism. ATS-accredited institutions have faculty and students whose faiths are outside of Judeo-Christian traditions, principal traditions that comprise the ATLA membership. Additionally, there is increased representation from secular institutions (e.g., University of Colorado Boulder) and organizations not affiliated with specific denominations within ATLA membership. 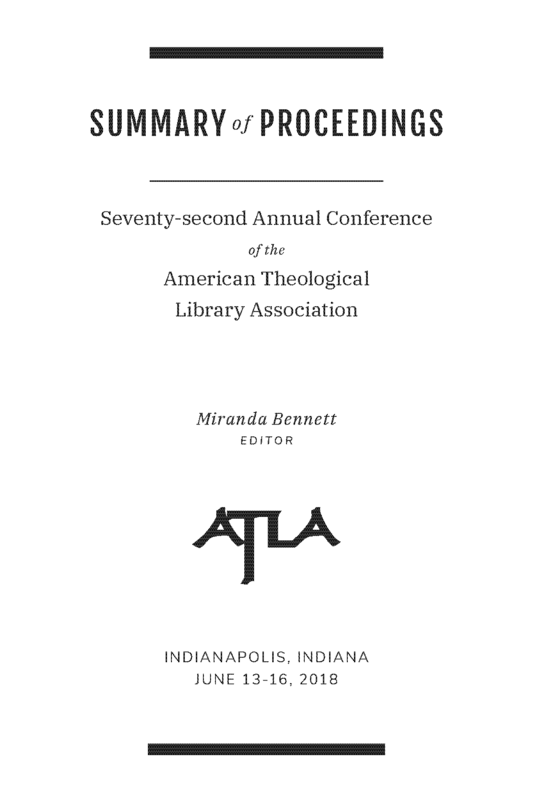 It's time for librarians to share with each other their perceptions of their institutions’ relationships with students, administrations, and denominations, and where they fit within ATLA personally.